New Delhi, Feb 6 : For India's thriving ecommerce firms, the country's remote north east region is turning out to be one of the fastest-growing, with products that were difficult or impossible to find now relatively easily available. Situated between Burma, Bangladesh and China, India's north eastern states make up around 8% of the country's landmass and 4% of the population, but they are punching above their weight in ecommerce terms, with both mass and niche players reporting significant growth here. "It is the ideal use case for e-commerce where customers are not buying because of discount but because of lack of availability of options and variety" said Gaurav Singh Kushwaha, founder and CEO of e-jewellery business Bluestone.com. Some 11% of Bluestone's revenue comes from the region, while for apparel retailer Fashionandyou the figure is even higher at 15%. Among the major companies, Snapdeal and Flipkart have been investing in the supply chain in order to improve the customer experience in a part of the country that has been poorly served by offline stores and branded goods, thanks to its hilly terrain and poor transport infrastructure. 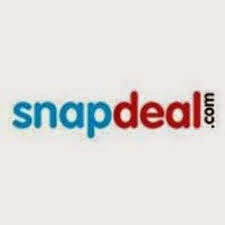 In the future, however, Snapdeal regards the north east as having the potential to match the leading metros of Delhi and Mumbai. "The region is among the fastest growing markets in the country for us," said Ashish Chitravanshi, vp/operations. "We have been steadily growing in double digits month-on-month," he told the Economic Times. "As we take our reach deeper into the region we anticipate [the] number [of orders] to grow phenomenally." Addressing the logistical challenge can bring instant returns, according to fashion e-tailer Myntra, which has established distribution centres in Guwahati and Aizwal. "When we started the Aizawl centre, it showed us [a] 500% jump in sales," said Ganesh Subramanian, the company's head of new initiatives. And if the region's IT infrastructure can be developed more quickly, the growth will really take off according to the eCommerce Association of India.